I have often wondered what game designers do after they successfully crowdfund their board games on Kickstarter. So I wanted to focus this interview on just that. I met today’s guest through a game design group on Facebook. Lucas Weese is an easy going, sarcastic jokester in real life. But despite these fun qualities, he still has trouble building an online audience. So let’s find out a bit more about him before learning what he did with his game after a successful Kickstarter. Find out more about Lucas’ game at the official Battle Blakes website here. 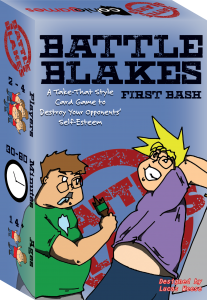 Or buy your copy of Battle Blakes in their shop. Now onto the interview we go! Prepare yourselves for witty sarcasm sprinkled throughout. Well, I started down the path of my first board/card game in April of 2015. I had always had a desire in the back of my head, but never had an idea I felt worthy of pursuing. Games in general, back in high school I would program/create games in my TI-86 while bored in class and before that I would mess around with QBasic. 2. What do you find the most fun about board game design? Coming up with mechanics and refining those mechanics. Your first prototype will be very different from your final product. The most fun part of designing a board game is watching it grow and evolve into something better. 3. What is your least favorite part about board game design? Not sure if it falls under design, but the social media aspect is difficult. You need to have a presence to spread the word. I’m just not generally that type of person. Run into me at a bar or social setting and charisma kicks in. Ask me to be a hype man through social media and I’m fairly incompetent. Now that we’re looking to move forward on new games and after some hiccups on our current game, I’m seeing that the artwork and finding artists are a little daunting. 4. Did your Kickstarter do better or worse than you expected? I was hoping that it would do better, but I kind of put that on me. We did a lot of play testing and demoing. We went to a lot of conventions and had a lot of good feedback. Sadly not all those testers/demoers who seemed very enthusiastic about our game backed our project. In my humble opinion, our game (at least the theme) is unique and everyone should have been clamoring for a copy. 5. What do you wish you had done different with your Kickstarter? I took care of all videos and page design. I mean, I’m pretty good with Adobe, but still not a professional and certainly not an artist. Though I think that we could have had more game reviews. The next time we look into doing a Kickstarter, we are planning to get some professionals for that side of things. 6. Where do you have your game for sell after Kickstarter? Being a vendor/dealer at conventions. We were slated as a vendor for CincyCon and Cleveland Concoction in the beginning of March, but I had an accident at the end of January which has kept me homebound. I didn’t want pity purchases for the guy in the wheelchair. 7. Has the game sold well since your Kickstarter ended? We’ve had some pre-orders after the Kickstarter while still in production. I think the conventions will definitely help and once I’m able to go out and network and get our game in some local stores, then we will see an uptick in sales. 8. 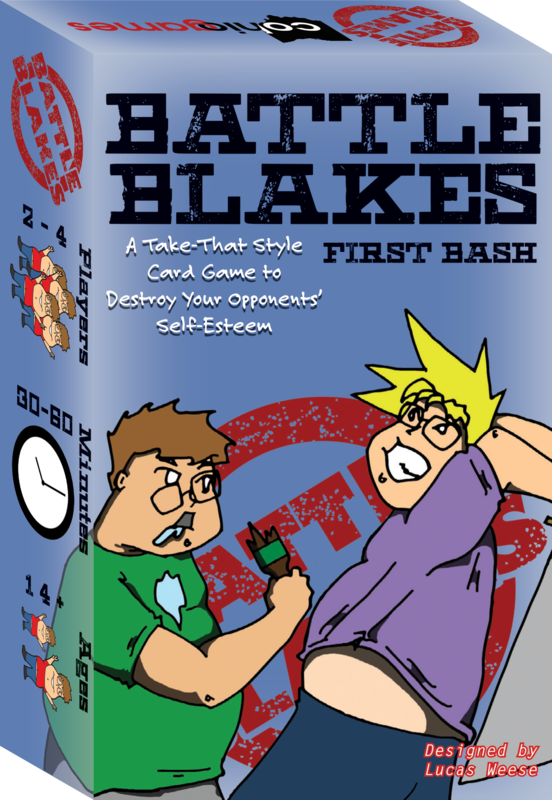 How long did it take you to make the website for your game Battle Blakes? The website has been a constant evolution and still needs some improvements. We are constantly updating as needed. The framework didn’t take long, but it is constantly evolving. The website was done by one of our team members (Donald) and I believe he used Adobe Muse. We did have brainstorming meetings on what we wanted to see and what looked good though. I provided a lot of the content, but Don helped with the build to allow me to focus on other things. 10. How many conventions did you attend to promote your game? We’ve also held and participated in local events and have demo copies (which will now need updated) at local board game cafes. 11. Who has helped you the most in making your game a reality? It’s really been a collaboration from all the members of the team and support from our loved ones. If I really had to choose someone, it’d probably be myself. I’ve put countless hours into all the aspects of the game and getting it complete. 12. Also, do you have a mentor? As for a mentor, I wouldn’t say I really have one. There are a lot of good resources online for development. Jamey Stegmaier, James Mathe, and Cardboard Edison all have great resources to go through and learn from. Years ago, I played Heroscape (local tournaments, Gencon, etc…) with Colby Dauch from Plaid Hat Games and seeing what he did was very inspiring. 13. 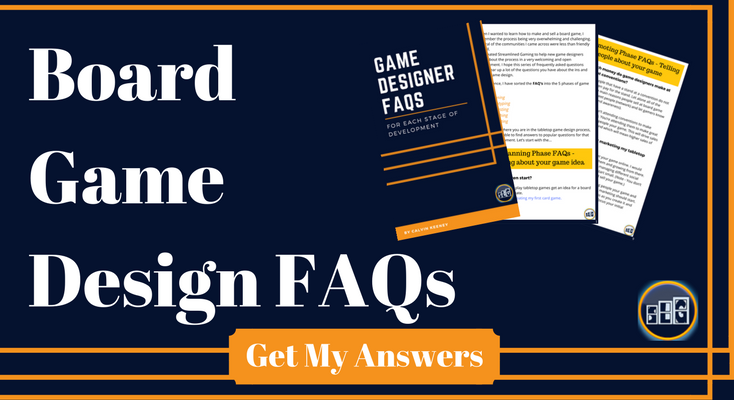 What are several tips you have for first time board game designers? Playtest! This means with people outside of your group of friends. There are so many things you learn from playtesters that you may not see because you’re too close to the project. These come from simple graphic design elements to maybe some wording you may have used that doesn’t quite fit, make sense, or could offend. Don’t get attached. You may think a mechanic is neat and makes sense, but could be over complicated for the average gamer that didn’t actually design the game. Your theme could be interesting, but will others think so? A social media presence is a must. Once you have your game pretty flushed out, get it into the hands of reviewers. Make your prototype pretty and intriguing. Your game may be one of the best things out there, but if no one knows about it you won’t make any sales. You’re going to have to spend your own money. If you are just trying to get a publisher to pick up your game the cost may not be as high, but if you want to self publish you need to brace yourself for some expenses. Have fun! Enjoy the project and the process. You’re making something to put into the world. Board games are meant to be fun, so creating them should hold that same stance. 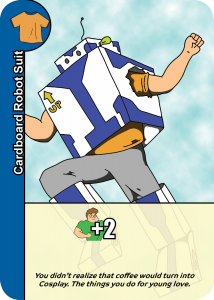 What Have You Done after Your Board Game Kickstarter that was Successful? 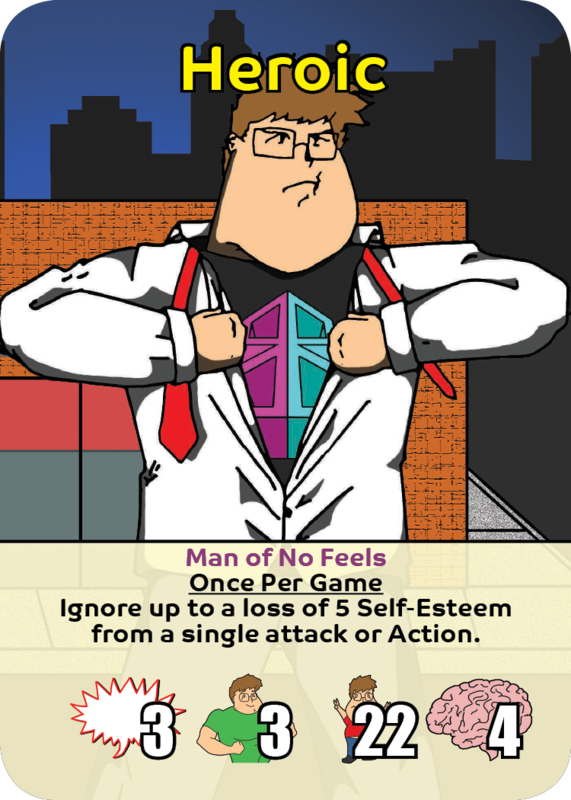 Now that we have heard some of the things Lucas Weese has done to promote his board game after Kickstarter, I’m curious to know what you have tried. Let us know what you have done that works (and hasn’t) in the comments section below.